We believe in a closely connected family of lifelong learners. We believe in learning by knowing, learning by doing and learning by being. We believe in economic, religious, and political freedom. Socratic Discussions, Self-paced challenges, goal setting techniques, and measures of accountability equip children to be independent lifelong learners. Hands-on Quests for Science, Entrepreneurship and the Arts prepare children for Apprenticeships and real world challenges. The Hero’s Journey, self-governance, relational covenants and real world consequences transform difficult decisions into virtuous habits that develop strong character. At Acton Oakland, we believe proof of work is far more important than arbitrary testing. Badges, portfolios, and exhibitions display proof of skill, ensure mastery over learning, and equip young heroes with real world skills to help them in their Hero's Journey. Badges - Students and parents use badges to track the development of knowledge and skills in various areas like: Reading, Writing, Math, Spelling, Leadership, and Character Development. Portfolios - Electronic and hard copy Portfolios demonstrate skills and talents in various forms and serve as evidence of skills and creativity. Exhibitions - Public exhibitions at the end of most Quests allow young heroes to present work to experts, customers or the public for a real world test. 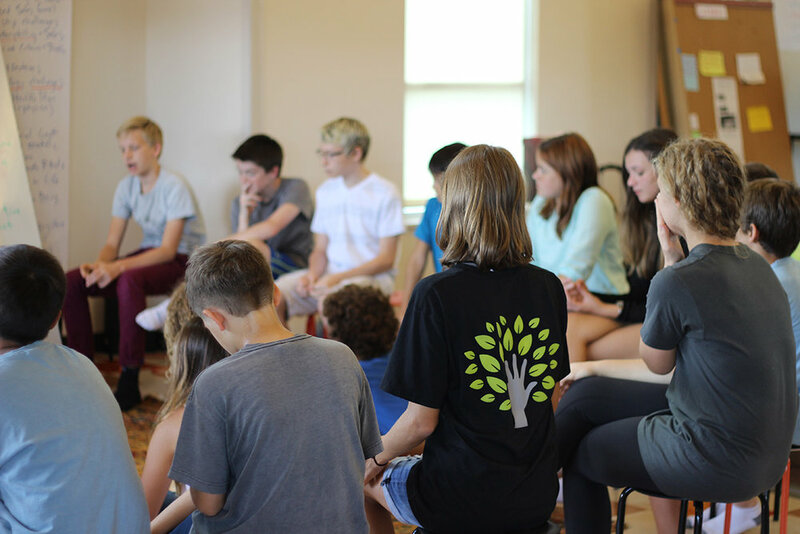 Each studio is a modern one room schoolhouse that empowers children to cultivate leadership qualities and learn from one another. Three different studios provide the right environment for your hero's journey. Every year at Acton Oakland, we build small businesses from the ground-up.